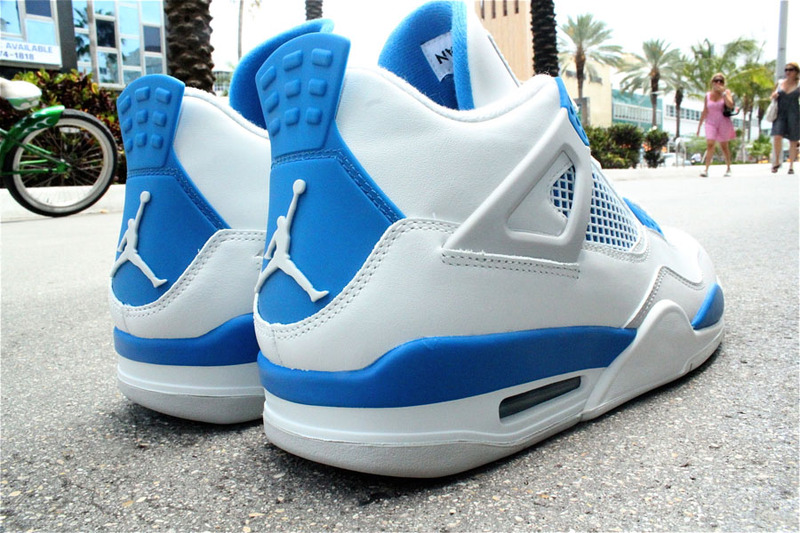 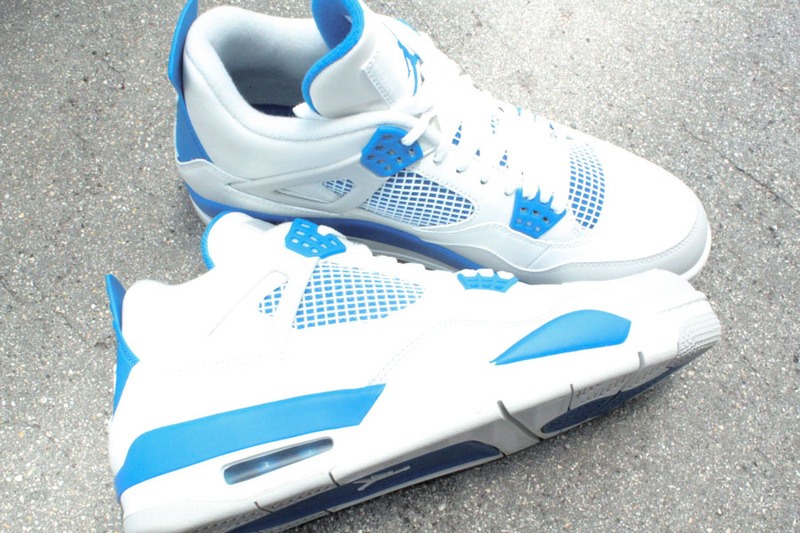 With all the buzz surrounding the Nike Air Yeezy II release, the returning Military Blue" Air Jordan Retro 4 has somehow managed to slip under the radar. 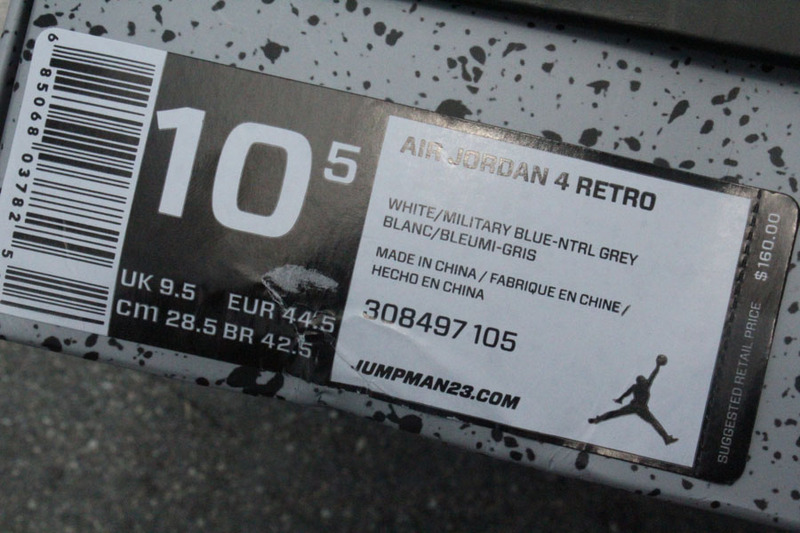 With all the buzz surrounding the Nike Air Yeezy II release, the returning Military Blue" Air Jordan Retro 4 has somehow managed to slip under the radar. 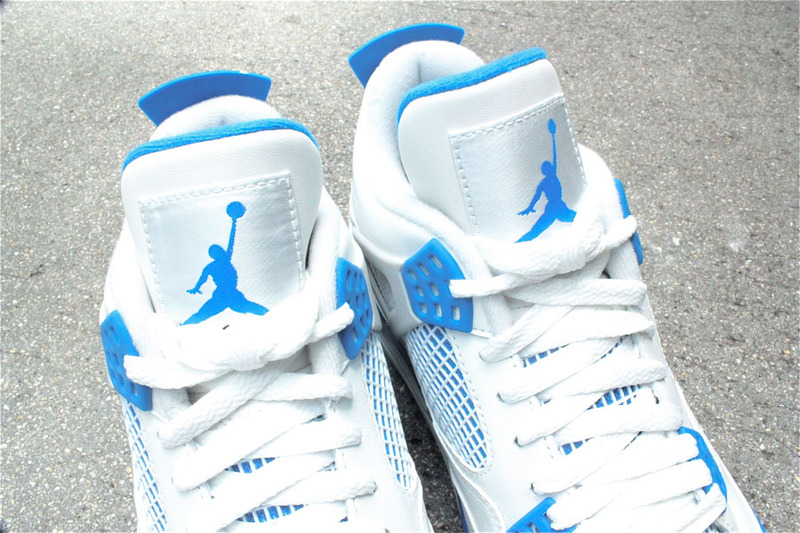 Last re-released in 2006, the '89 classic sports a white leather upper with Military Blue accenting the lace and heel tabs, tongue lining and midsole. 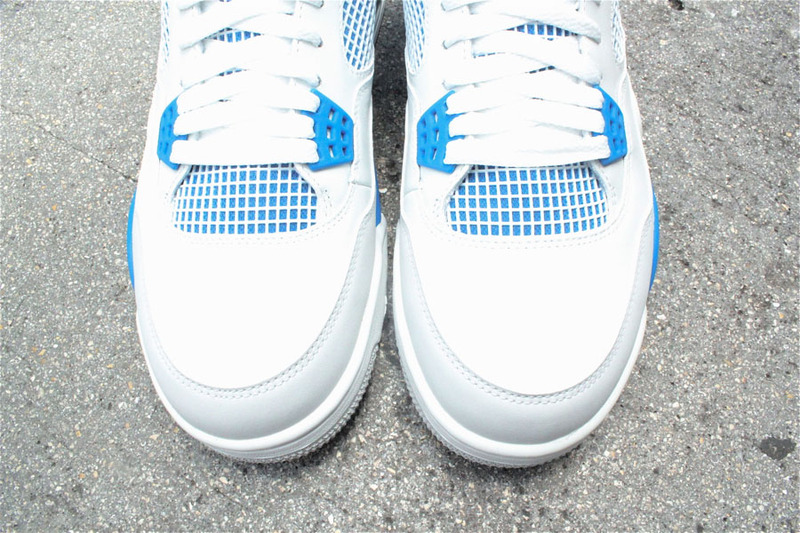 White handles the lower region of the midsole that houses Air cushioning, while Neutral Grey works a nubuck overlay on the toebox, the 'wing' support tabs and outsole to complete the look. 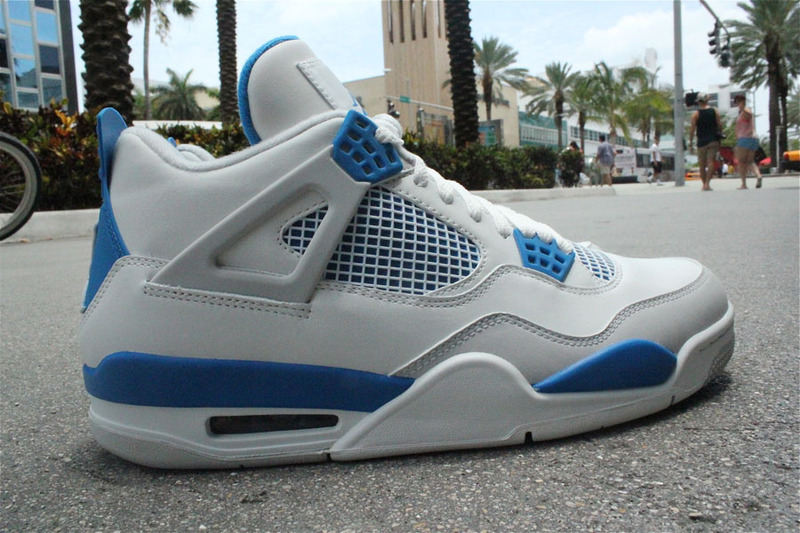 The "Military Blue" Air Jordan Retro 4 will drop at retailers like Miami's Mr. R Sports this Saturday, June 9.